We are officially in the height of summer and there’s no better way to end a long work day than to meet up with friends for some happy hour drinks and delicious food! 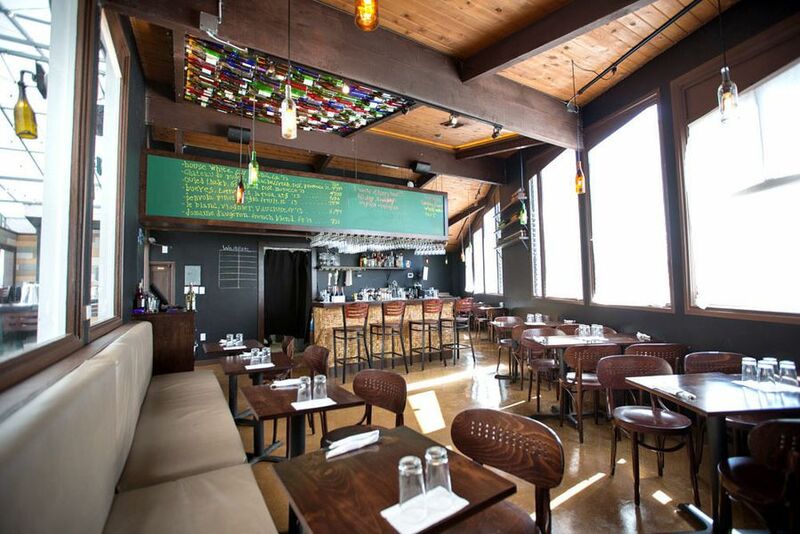 Here are some of our favorite happy hour spots we love and wanted to share with you! Enjoy! FIG at Five is now seven days a week. The restaurant’s long-running one hour reduced fare bonanza is overseen by chef Yousef Ghalaini, and spans just 5 to 6 p.m. daily. Expect big crowds and even bigger flavors. Salt offers their happy hour everyday from 4:30 to 6pm. With amazing views and cozy seating this should be on the top of anyone’s happy hour list! Bacari PDR offers a delicious assortment of wine and tapas, perfect for those after work or weekend meetups with friends! Happy hour is served Monday through Friday from 5 to 7pm. Some of our favorite dishes include the lamb stuffed eggplant, baccala cakes and their creamy and cheesy mac and cheese! In an attempt to outbid other restaurants, Manhattan House is going beyond the half-off drink specials by offering 51% off all beer, wine, cocktails, and mocktails Tuesday through Sundays from 5 to 6:30 p.m. Enjoy it with rotating happy hour food specials like grilled Sonoma lamb burgers. Manhattan Beach burger joint The Rockefeller runs Monday through Thursday from 5 p.m. to 7 p.m. and from opening to 7 p.m. on Fridays, dishing $5 beer and wine deals and rotating plates of food. Go on Tuesday and combine deals with the 99-cent burger (yes, really). You probably don’t need to be convinced to go to Hanjip for happy hour when there’s Fruity Pebbles and Pop Rocks-topped watermelon soju available. But for those who are looking to imbibe in less sugary concoctions, the restaurant’s daily happy hour from 4 to 6:30 p.m. offers $2 soju shots and $9 large beers. You’re probably going to want to order Mister Oh’s ribs and pork buns, too. Culver City’s The Cannibal is taking happy hour to the next level by offering complimentary self-serve charcuterie at the bar from 5:30 to 6:30 p.m. daily. The communal spread can include items like salumi, pâté, bread and butter, housemade cacio e pepe chips, pork rinds, and crudité that can be enjoyed alongside $5 old fashioneds on draft, $3 craft canned beers, and $20 bottles of rosé. Those looking for ritzy happy hour specials can head to Ocean Prime Monday through Thursday for $5 off all small plates, sushi, and raw bar offerings. There’s even $8 cocktails to boot, which is terrific for the heart of Beverly Hills. Century City’s Hinoki & The Bird is mixing it up with its new early bird special. Available Tuesday through Fridays from 5:30 p.m. to 6:30 p.m., get the restaurant’s okonomiyaki burger with hot pepper relish and sharp cheddar on a honey potato bun with tonkatsu sauce with a choice of draft beer, house wine, or Miyagi mule for $20.